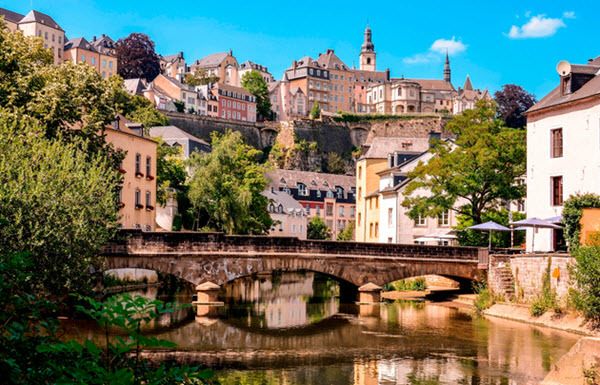 Luxembourg is considered the most important private banking centre in the Eurozone and is also Europe’s leading centre for reinsurance companies, as well as the world’s second largest investment fund centre (outranked only by the United States). Luxembourg has been designated an offshore financial centre by both the IMF, the OECD and the Financial Secrecy Index (an index managed by the Tax Justice Network). 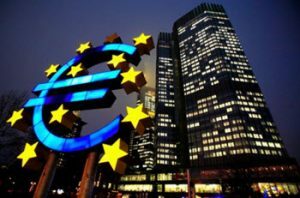 In April 2009, the G20 added Luxembourg to their “grey list” of nations with questionable banking arrangements. The main concerns were Luxembourg’s strict banking secrecy laws and its reputation as a tax haven. In response to being added to the grey list, Luxembourg adopted OECD standards on exchange of information. Soon, the G20 described Luxembourg as a “ jurisdiction that have substantially implemented the internationally agreed tax standard”. Despite adopting OECD standards, Luxembourg ranked 3rd on the Financial Secrecy Index in 2011. (This index is maintained by the Tax Justice Network.) Two years later, Luxembourg ranked as the 2nd safest tax haven in the world, outranked only by Switzerland. In recent years, Luxembourg has been working hard to attract internet companies and their efforts have met with great success, as companies such as Amazon and Skype have shifted their regional headquarters to Luxembourg. Luxembourg is a stable high-income economy with one of the world’s highest GDP (PPP) per capita. It is worth mentioning that the external debt of Luxembourg is extremely high from a debt-per-capita (as well as debt-to-GDP) perspective. For the year 2014, the external debt per capita was nearly $3.7 million. As a percentage of GDP, it was a whopping 3443 percent! Luxembourg is a part of the European Union, and has very close trade and financial ties to its neighbours Belgium and the Netherlands. These three countries are jointly referred to as the Benelux countries (BE-lgium, NE-therlands, LUX-embourgh). Luxembourg has successfully managed to diverse its economy since the 1960s. Until then, it was heavily dominated by the steel industry. Today, the service sector – especially banking and finance – account for the majority of the economic output. In the 21st century, Luxembourg has strived to diversify even more by encouraging the “knowledge economy”. The University of Luxembourg has been established and a national space programme has been created. Luxembourg (Luxembourgish: Lëtzebuerg) is a landlocked country in western Europe. Its full name is Grand Duchy of Luxembourg. With an area of just 2,586 square kilometres, it’s one of the smallest of the European sovereign states. It is also one of the least-populous of the European nations, with slightly above 575,000 residents (2015 estimate). Luxembourg is the only remaining grand duchy in the world. It’s current monarch is Henri, Grand Duke of Luxembourg. Luxembourg borders to Belgium, Germany and France and its culture is heavily influenced by its large neighbours. The official languages of Luxembourg are Luxembourgish, French and German. The capital of Luxembourg is Luxembourg City, which is one of the three official capitals of the European Union. (The other two are Brussels and Strasbourg.) Luxembourg City is the seat of the European Court of Justice. In March 2010, Luxembourg received quite a lot of media attention when it was reported that North Korean leader Kim Jong-Il was keeping vast amounts of money in Luxembourg bank accounts. In the year 963 AD, the fort Lucilinburhuc on the Bock rock was purchased by Siegfried, Count of Ardennes, through an exchange act with St. Maximin’s Abbey. A town gradually grew up around the fort and the fort turned into Luxembourg Castle.